This is Cubic Zirconia Glass/ Nano/ Hydro.This is made on order at our factory in Jaipur. This is amazing Bezel Chain . Each stone measures approximately 8x10mm Great chain to add that special touch to your beautiful designs. Cubic zirconia (CZ) Heena Gemstone is hard, optically flawless and usually colorless, but may be made in a variety of different colors. It has close visual likeness to diamond. Unlike diamonds, cubic zirconia is simulated to be flawless. CZ can be perfectly structured, free of inclusions, totally transparent. We are one of the leading manufacturers and suppliers of Cubic Zirconia Stone . 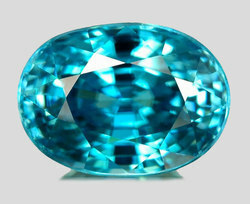 Our Gemstones are acclaimed for their high quality, reliability and fine finish. These can be availed at very affordable rates. We always ready to cut customize designs as per your requirement. 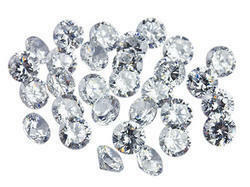 We deal in All Shapes, Sizes and Colors of Cut & Polished Cubic Zirconia (CZ).